BEAUMONT, Calif. -- Lodged between the oceanside courses of San Diego, the storied club play of L.A. and the bountiful desert oasis of Palm Springs, golf amid the mass populace of the Inland Empire is oftentimes left in an identity crisis. 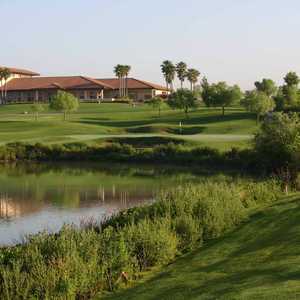 Oak Valley Golf Club offers up a trusty, affordable and engaging round of golf in Beaumont. This course used to be considered a hidden gem. Now, Oak Valley Golf Course in Beaumont is an off-the-beaten-path known reasonable joy. Stopping on the way from Los Angeles to Palm Springs for a golf detour is no fool's play. Not with the fast greens, dramatic elevation changes and swerving fairways available at Oak Valley in Beaumont. A Lee Schmidt and Brian Curley design, Oak Valley is probably best known for greens that are anything but desert typical. Speed is the name of the game here, with a tap sometimes too much on a downhill putt. But here's some personality for you: For a trusty, affordable and readily engaging round, take in a day at Oak Valley Golf Club in Beaumont. A 30-minute drive "up the hill" from Palm Springs, the early '90s design by Schmidt/Curley maintains its golf-boom-era relevance with getable scoring and scenic character at a fine price. "I think it's a really good layout and it's got some native areas, so it's picturesque," says Paul Hjulberg, head professional at Oak Valley. "The course is well defined and most everything is right out there in front of you, but there are some undulations out there and you've got to have a good short game to score around these greens complexes." Long popular with the Inland crowd, Oak Valley further enjoys the company of desert dwellers playing a round, offering a cool-down on both the temperature and the checkbook. At 15 degrees cooler than the Coachella Valley, Oak Valley is a great get at $55 for a weekday round, a price point lower than myriad desert courses during peak season. "We get a ton of play from the Palm Springs area," Hjulberg says. "And when we reopen from overseed in early October and the desert courses are just going to overseed, lots of people take the easy drive. It's all different types of players, whether from daily rates or some of the most exclusive clubs in the desert." Though the boast is common, it's rare that a course can satisfy all level of players. Oak Valley is among those courses. With teeth enough from the tips (7,003 yards) to annually host varied stages of Q-School (formerly for the PGA Tour, now for the Web.com Tour based on changes to the qualifying format), Oak Valley's generous layout affords ample tee space for the daily duffer. "The course is in great shape and is really well maintained," says Joe Teng, a mid-handicapper who made the drive from Hacienda Heights. "It's very playable from the forward tees, but if you play all the way back this thing is a monster." Continually testy greens structures couple with subtle elevation changes to keep all level of player in focus. After the opening three holes play a little too adjacent to the I-10, the excellent 374-yard fourth sports a forced carry over a waste area preceding an approach to an elevated green. "It's not a very long hole, but you hit over a hazard to the right, which can be a little intimidating for a mid-to-high handicapper who has a slice," Hjulberg says. The meaty 474-yard, par-4 seventh highlights the front with a studied tee shot to a crevasse before a skinny second presenting a rocky death to the left of the green. "A really good-looking hole, but you've got to place your tee shot and you could be faced with a downhill lie to an elevated green," Hjulberg says of the seventh, the top handicap hole. "There is a bailout to the short right for the approach to try and leave yourself a pitch and a putt." On the latter side, the 567-yard, par-5 13th can belie its comely appearance. "A very pretty hole, playing toward the mountain with a slight dogleg right with a fairway bunker on the right and a big sycamore tree on the left," Hjulberg says. "So, if you pull the drive left, you'll be faced with that big tree, which you'll need to either go over or around to get back in play; or, you're faced with that fairway bunker along with another cross bunker that you have to carry --you can't go around it." Oak Valley Golf Club won't awe in any particular facet, but the newcomer will fast grasp why the course has long proven a popular regional play. With a great rack rate matched with solid conditions, steady scorability and some natural beauty, the track has earned its rep as one of the true Empires of the Inland. 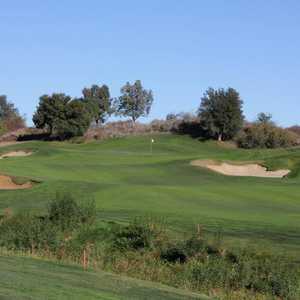 The Morongo Golf Club at Tukwet Canyon (Beaumont) offers a pair of engaging courses (Legends and Champions) to couple with a solid stay and play at Morongo Casino. 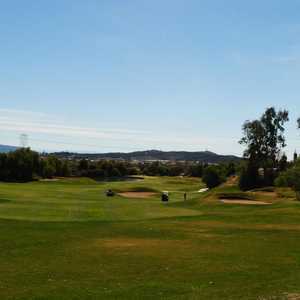 Further gaming connections can be found at The Country Club at Soboba Springs (San Jacinto), a Desmond Muirhead course that enjoyed a redesign from Cary Bickler in 2005. For some great military history, march to General Old Golf Course (Riverside); 15 miles southwest, a war for par exists at the Champions Club at the Retreat (Corona). And for fine value plays across the Inland Empire, be sure to check out Calimesa Country Club (Calimesa), Diamond Valley Golf Club (Hemet) and Yucaipa Valley Golf Club (Yucaipa).